My name is Sarah Stewart and I am the Tennis Pro in Pell City. I was contacted this week about hosting a Homeschool tennis tournament for as many groups/teams as we can get to sign up. Right now, we have 3 teams committed to our 2016 tournament, and I would love for your group to participate in this fun event. The dates of our tournament are March 18 & 19 (Friday and Saturday). We will only play on that Friday if the tournament is really big. The main play date will be Saturday, March 19. 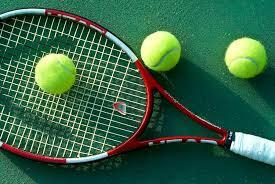 The tournament will be held at the Pell City Tennis Center (beside the Pell City Civic Center). I can assure you this will be a worthwhile tournament for your group to participate in. Our number one goal when working/teaching kids in school and also sports should be to challenge them to achieve goals they never thought they could reach, and to achieve these goals with camaraderie, class, humbleness, enthusiasm, and the desire to improve themselves. Please feel free to email me back or call me if you have any questions, or need help putting a team together.